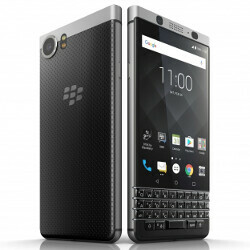 A leaked internal document reveals that starting tomorrow, July 17th, the Rogers branded version of the BlackBerry KEYone will receive an update. Unlike other handsets in the Rogers family that are receiving updates tomorrow (such as the Moto G4 Plus, Samsung Galaxy Note 5 and the Samsung Galaxy S6 edge+), the new files being sent to the KEYone are related to bug fixes instead of security. The issues that need to be addressed by the update are apparently related to the Rogers' network. Early last month, several Rogers subscribers complained about their inability to receive incoming phone calls and send texts with the KEYone. On the other hand, the issues don't seem to be affecting all of the carriers' KEYone users. Since this is an OTA update, not every Rogers KEYone user will receive it at the same time. Once you do receive the update, make sure that you are connected to a Wi-Fi network or have a strong Rogers signal before starting the updating process. Your battery should be fully charged before proceeding. Seems like these bugs are specific to the Rogers branded BlackBerry KEYone's. In any event, it's good to see them being addressed. The KeyONE has had a pretty bad start. Delay, adhesivegate, and now network issues on Roger's. We know its you, Myx. You don't have to pretend poorly as someone else. Exactly. This guy isn't fooling anyone. Yes, you are fooling no one, alphageek.